« What’s wrong with a “Jesus Plus” kind of faith? Hi, this is Brent White. It’s Saturday, July 14, and after a long break, I’m back with you for Episode Number 26 in my series of podcasts. I apologize for the time away. I’m an itinerant United Methodist pastor, and I was recently appointed to a new church. So over the past two months I’ve had to pack up and leave one town and one church move to another town and church. But now that I’m getting settled in, I hope to bring you these podcast episodes with more regularity. You’re listening to “The Waiting” by Tom Petty and the Heartbreakers, his hit song from 1981. I recorded this directly from the band’s long-playing vinyl record Hard Promises. The song is a happy song, in a way, because the singer sings it on the other side of a long and difficult wait. For the singer, the waiting is finally over—at last—because, you know, he’s finally found true love or whatever. But he wants you to know that waiting for true love was very difficult. In fact, “it’s the hardest part.” “Every day,” he says, “you see one more card”—you don’t see all the cards all at once; you just see one at a time, and you trust—you “take it on faith”—that you’re going to be holding all the right cards before the game is over. Jairus is a synagogue ruler in Capernaum, the town that served as Jesus’ home base during his ministry years. That means, among other things, that Jairus is a powerful, wealthy, well-respected member of his community. He is sincerely religious, as we learn in v. 23, where Mark tells us that he “implored Jesus earnestly” to heal his terminally ill daughter. Now, I’ve already blogged a couple of times about this passage. I preached on it a couple of weeks ago. 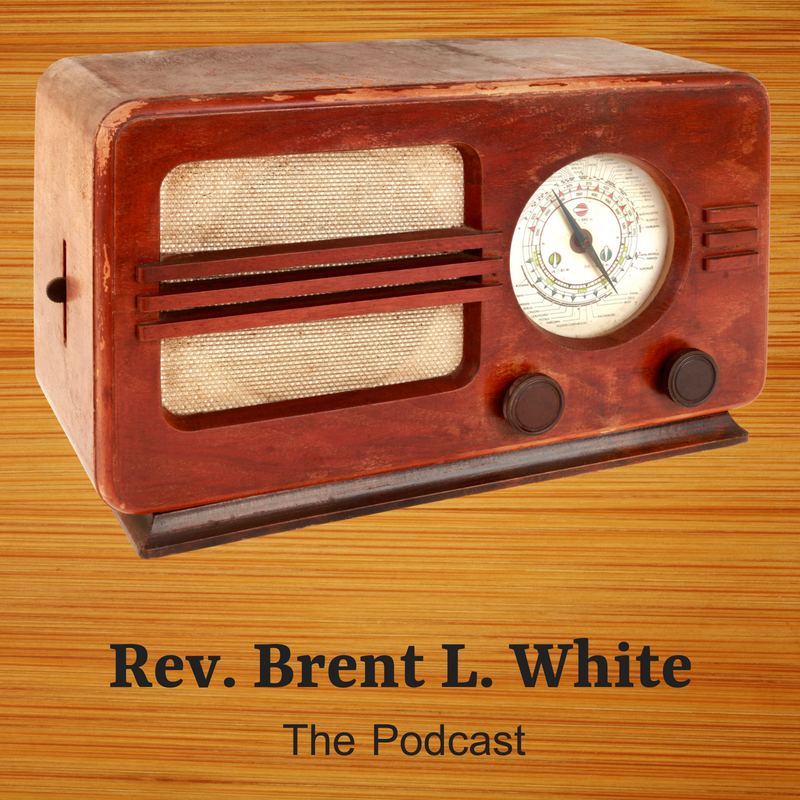 So be sure to check out my blog posts and my sermon—I’ve put a link to my blog in the episode notes so you can do that. But I still have more to say about Jairus—not because I imagine that you and the rest of the world are just dying to hear it but because I need to say it! I need to say it out loud for my own sake! So maybe I’ll hear this message… for a change. Because I see myself in Jairus. I’m like him! I have something important to learn from his experience. And maybe my reflection on his experience will help you, too. We’re told in verse 21 that Jesus and his disciples have just crossed from the eastern shore to the western shore of the Sea of Galilee. It sounds like Jairus is practically the first one to meet Jesus when he steps off the boat. Jairus has urgent business with Jesus: his daughter is dying, and he believes that Jesus can heal his daughter. But time is running out, so Jesus needs to hurry! All hope is lost, at least as far as Jarirus is concerned. True, he had enough faith to believe that Jesus could save his daughter, but only so long as she was still living and breathing. But now…? Game over. And here’s where we see the big problem with Jairus’s faith—and here’s the main reason I want to share this with you: Jesus wasn’t enough for Jairus. See, Jairus’s faith wasn’t simply in Jesus. He wasn’t counting on Jesus alone to save his daughter. he was also counting on time, on favorable circumstances. Yes, his daughter is desperately sick and getting worse by the minute, but as long as she’s still alive, it’s not too late! And what happens in v. 35 when he runs out of time? He falls apart. “Why trouble the Teacher any further?” As far as Jairus is concerned, all hope is lost. I promise you, this is the challenge of my life: to find my happiness in Christ alone rather than looking for even a part of my happiness outside of Christ. See: I have a “Jesus plus” faith; I need a “Jesus only” faith. To say the least, the apostle Paul is not like Jairus. Listen to his words in Philippians 3:7-8: “But whatever gain I had”—that is, every good thing that Paul had in his life prior to getting converted—“whatever gain I had I counted as loss for the sake of Christ. Indeed, I count everything as loss because of the surpassing worth of knowing Christ Jesus my Lord. For his sake I have suffered the loss of all things and count them as rubbish, in order that I may gain Christ…” Paul is using the language of accounting here: on one side of the ledger is every asset he possessed in life prior to Christ: his home, his possessions, his wealth, his personal safety and security, his Pharisaism, his friends, his family… his reputation, his good standing, his blamelessness under God’s law… All these things go in that column on the left. In the column on the right, however, is only one word… one name: Jesus. At the bottom of that column on the left he sums the value of each item on the list and writes the word “LOSS” at the bottom: because the very best things in life—even perfectly good things, not to mention sinful things—are, in Paul’s way of thinking, worth not nothing but less than nothing—they are a loss—compared to what Paul has gained in knowing Christ. Jesus isn’t merely the best thing in life among many other perfectly good things; Jesus is the only thing, as far as Paul is concerned; there’s no close second, for Paul. And how can there be? Remember that disciple in the gospels who said, “Lord, let me first go and bury my father.” And Jesus said, “Follow me, and leave the dead to bury their own dead.” Or “If anyone comes to me and does not hate his own father and mother and wife and children and brothers and sisters, yes, and even his own life, he cannot be my disciple.” And of course, Jesus is using hyperbole. He doesn’t mean literally to hate our family. He means that, relatively speaking, in comparison to our love for and allegiance to Christ, our love for and allegiance to even those people in this world we care about the most should look like hatred… because Christ means that much to us! So, will we be like the apostle Paul… or will we be like Jairus? We all have to decide: Is Jesus enough for us? Will I find my happiness in him alone? Or do I need something else? As long as I need something else, well… I can be sure that God will test me, and test me, and test me some more—just as he tested Jairus—until I learn that Jesus is enough for our happiness. Is it cruel for God to do this? After all, look at the test that Jairus faced: for all his faith, for all his initiative in going to Jesus and pleading for a miracle, his daughter still died! After all that! He could have stayed at home and had the same result. And you say, “Yes, but Jesus did work a miracle and bring her back to life.” And that’s true, but Jesus let her die first—which meant that Jairus had to face that long walk home, knowing that his daughter was dead… grieving. While it’s true that Jesus told him, “Do not fear, only believe,” his words must have seemed like the slenderest reed of comfort in Jairus’s moment of intense sorrow! It’s funny: I began my blog back in 2009 at a time when the so-called “New Atheist” movement was in its ascendency, when people like Richard Dawkins and Christopher Hitchens were writing best-selling books mocking our belief in God. And one thing that these New Atheists always said was that we Christians believed in God in the first place because it protected us from the harsh reality of death—or whatever. “How comforting it must be to believe in heaven when you die rather than the empty void of nothingness…” And I wanted to say, “Yes, but, first, you have to believe it. Believing it’s the hard part!” Did these New Atheists think that we Christians are immune from ever worrying that it’s all wishful thinking, that these amazing words in this book we call the Bible are too good to be true? How naive these New Atheists were! I don’t think most Christians, certainly not me, are Christians because believing is somehow easy. It’s like that former pastor and theology professor several years ago—his name was Ryan Bell—who made headlines by saying that he was going to live his life for one year as an atheist—no churchgoing, no praying, no reading the Bible, no doing anything related to being a Christian. It was an experiment to see what it would be like. And then, at the end of the year, he would decide whether or not to be a Christian or be an atheist. Well, at the end of his year he came out as a newly minted atheist with a book deal—surprise surprise; he decided that he could get along just fine without his Christian faith. I don’t know what kind of Christian Ryan Bell was before his year-long adventure in atheism, but suffice it to say, he wasn’t a Christian like me. Not because, unlike him, I never experience doubt, but because I don’t need to conduct a year-long experiment to see what it’s like to be an atheist: I have lived for days, or weeks, or—who am I kidding?—months as a practical atheist, rarely if ever praying, rarely if ever reading scripture, rarely if ever worshiping God in spirit and in truth. Why? Because I find that being a Christian is hard; believing is hard; trusting in Jesus is hard. So what’s God going to do with a lousy Christian like me—one with such a weak faith? He’s going to test me and try me, until my faith gets a lot tougher. And it is going to hurt! But it will be good for me, because on the other side of that testing, on the other side of that pain, I will have learned to trust in Jesus more! Which is to say to love Jesus more. I would only add to Lewis’s words—and I doubt he would disagree—that the end result of this “training and correction” is that we would know more happiness and joy, even if the purpose of godly living isn’t aimed directly at happiness and joy! In a way, it doesn’t matter what the devil or sinful human beings choose to do: they may intend all the evil in the world; God has the power to transform that evil into something good for us and the world. “In all things,” the apostle says, “God works for the good of those who love him, who have been called according to his purpose.” Not in some things, but in all things God works for the good… Not some of the time but all of the time God works for the good. What sinful human beings intend for evil, what the devil intends for evil, God intends for good! And how could God not do this? He took the greatest evil the world has ever seen—which is the crucifixion of his Son Jesus—and transformed it into the greatest good the world had ever seen—the salvation of everyone who believes in Jesus. So of course God can take all lesser forms of evil and transform them! He does it all the time! Here’s a good New Testament example: the apostle Paul in 2 Corinthians 12. Paul describes having a heavenly vision, some amazing spiritual experience—possibly an out-of-body experience—in which he’s transported up to heaven. He sees things about which, he says, “man may not utter.” It was an experience about which he was tempted to feel pride: “I must be something special for God to give me this experience.” But then something happens to Paul. He receives what he refers to as a “thorn in his flesh.” We 21st-century readers don’t know what this was—possibly a physical ailment of some kind, something conspicuous, which others who knew Paul could notice, or possibly the violent persecution he endured… we don’t know. But we do know the origin of this “thorn”: It’s a “messenger from Satan” sent “to harass me,” Paul says. So it’s from Satan; Satan caused Paul’s suffering. But not so fast: it also “was given” to Paul to keep him from becoming conceited by the “surpassing greatness of the revelations” that Paul received. The thorn wa given… This is called by Bible scholars the “divine passive,” that is, God also gave the thorn to Paul, and God used the thorn for his purposes. This is precisely the same point that Joseph makes in Genesis 50:20. Satan intended the thorn for evil, but God intended the thorn for his own good purposes, one of which is that Paul should learn from experience that the grace of Jesus Christ is sufficient for him, no matter what he has to endure—that in fact, when Paul was weak—and this thorn in the flesh made him weak—when he’s weak, then he’s strong—because he’s made strong with the strength of Christ. And this is why, by the way, he tells us earlier in that same chapter to “rejoice in the Lord always.” Always. Because we can always be confident that God is using whatever circumstances we face for our good. He’s transforming our suffering, redeeming it… just as he’s redeeming Jairus’s suffering in today’s scripture. And he’s doing it ultimately for our joy, whether in this world or the world to come. Even in today’s scripture, we’re not told why Jairus’s daughter died—it could have been from perfectly natural causes; or from the devil; or some combination thereof. But we know for sure that God had his purposes for allowing it. So, on the other side of their immense suffering, do you think that Joseph, or Jairus, or Paul, said, “I wish God hadn’t allowed this to happen to me”? Of course not. In Mark 4:35-41, which the Revised Common Lectionary chooses as the passage immediately before the passage related to Jairus, the disciples are on a boat on the Sea of Galilee during a terrible squall. They think they’re going to die. After waking Jesus, he says to the wind and the waves, “Peace! Be still!” And the disciples are filled with fear. “Who then is this, that even the wind and the sea obey him?” The disciples had something they needed to learn about Jesus, which would help them in their faith, strengthen them in their faith. And they could only learn it through this terrifying trial of suffering. And on the other side of this suffering, don’t you think the disciples could say, “It was worth the storm to get the peace of our Lord Jesus Christ!” The “Peace! Be still!” was worth the life-threatening storm that preceded it. The resulting peace was worth the storm. So I began this episode talking about this Tom Petty song: “The waiting is the hardest part. Every day you get one more card.” You get one more card, and you can’t necessarily see how this particular card is going to help you until you reach the end of the game.” But we can trust that the One who deals the cards is doing so for our good. That’s what Jairus had to learn. That’s what I have to learn. And maybe that’s what you have to learn. Regardless, I hope you’ve learned something from this podcast… See you next time. I love you! This entry was posted on	July 14, 2018 at 9:19 pm	and is filed under Uncategorized. One thought: It never says that Jarius lost faith. It says that his servants came and told him it was too late, that the girl was dead, but Jarius continued on with Jesus.He didn’t fall to the ground wailing. Members of the household laughed at Jesus when he arrived, but it doesn’t say that Jarius did. Jarius and his wife followed Jesus into the room. Upon seeing his daughter rise up, he was amazed and rejoiced. Probably just cutting too fine a line, but I think Jarius had great faith. As for the Cross, Satan was ecstatic when Jesus was crucified. He thought he had won. The victory came with the resurrection! Hate and disbelief could not kill Jesus then, and it cannot now! It is certain that God has a reason for everything He “allows” (if not foreordains). The only caveat is, does what God allows as a consequence of what we do VARY from what He would have done, had we been obedient instead? I think C.S. Lewis said (or had Aslan say) that we shouldn’t ask “what if” questions, but it is still something I think about. As an example, we know that from David’s sinful relationship with Bathsheba, Solomon was born, and from Solomon, ultimately, Jesus (through Matthew’s genealogy). (In fact, I believe that Solomon’s brother Nathan was also born to Bathsheba, and Mary’s lineage came through him, through Luke’s genealogy.) So God definitely brought good from the bad. At the same time, though, look at what happened to the rest of David’s family “because you have done this thing.” Also, Mordecai told Esther, “if you don’t do this, deliverance will be accomplished some other way, but you and your house will perish.” So–good, but not necessarily just as good. I agree with this. God works within the context of free, sinful human beings, so what results may be far from the best possible outcome, but God will still use it, and it will redound to his glory.